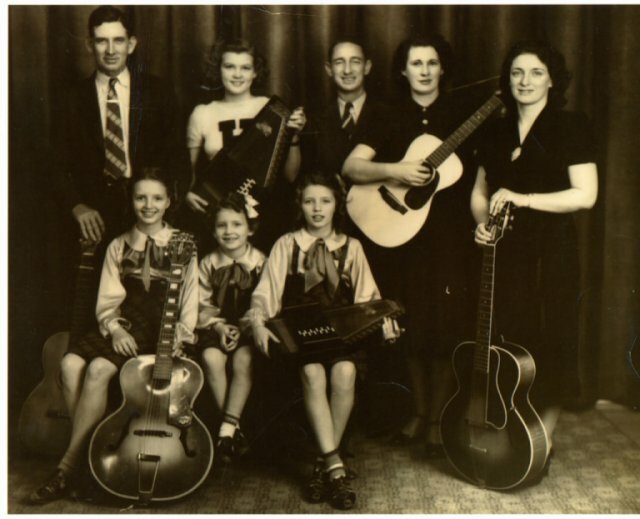 THE WINDING STREAM is a story about the family at the heart of American roots music—The Carters and Cashes. Starting with the Original Carter Family—A.P., Sara and Maybelle—the film traces the trio’s early musical success, the transformation of the act into The Carter Sisters, June Carter’s marriage to legend Johnny Cash, and the efforts of the present-day Carter family to keep the music alive. Part history, part performance, part family saga, the film illuminates the Carter’s musical and cultural contributions and features a who’s who of Americana music including Johnny Cash, George Jones, Rosanne Cash, John Prine, Kris Kristofferson, Sheryl Crow, The Carolina Chocolate Drops, and more. Includes a compelling appearance by Johnny Cash in one of his last interviews. THE WINDING STREAM tells the story of the American roots music dynasty, the Carters and Cashes. Starting with the Original Carter Family—A.P., Sara and Maybelle—the film traces the ebb and flow of their influence, the transformation of that act into The Carter Sisters, June Carter’s marriage to legend Johnny Cash, and the efforts of the present-day Carter family to keep this long musical legacy alive. The Carters didn’t just play the music of their hill country upbringing. They helped invent it. The stream they created has turned into a rushing river and has moved through several generations of musicians. Arguably, there would be no Folk Revival of the ‘60s without the Carters, no country-rock bands of the ‘70s, and no “Americana” artists of our present era without them. Will the Circle Be Unbroken? Keep on the Sunny Side. Worried Man Blues. Are You Lonesome Tonight? These are just some of the hundreds of songs the Carters presented to the world. It’s hard to overstate their influence on American music and that influence continues in subsequent generations of family musicians. Part history, part performance, part family saga, the film illuminates the Carter’s musical and cultural contributions and features a who’s who of Americana music including Johnny Cash, George Jones, Rosanne Cash, John Prine, Kris Kristofferson, Sheryl Crow, The Carolina Chocolate Drops, and more. The film includes a compelling appearance by Johnny Cash in one of his last interviews.